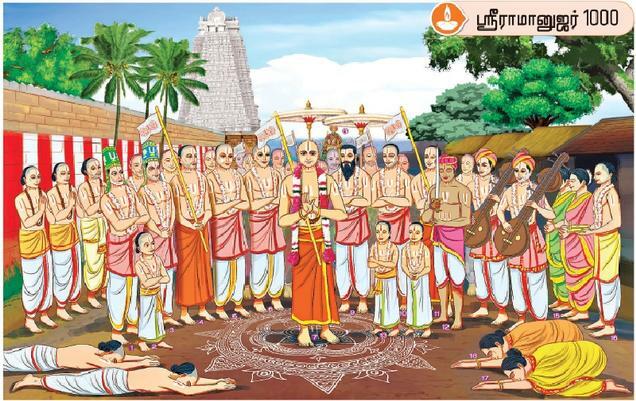 Ramanuja paid reverence to Azhwars and their hymns through the invocatory verses for Nalayira Divya Prabandham. 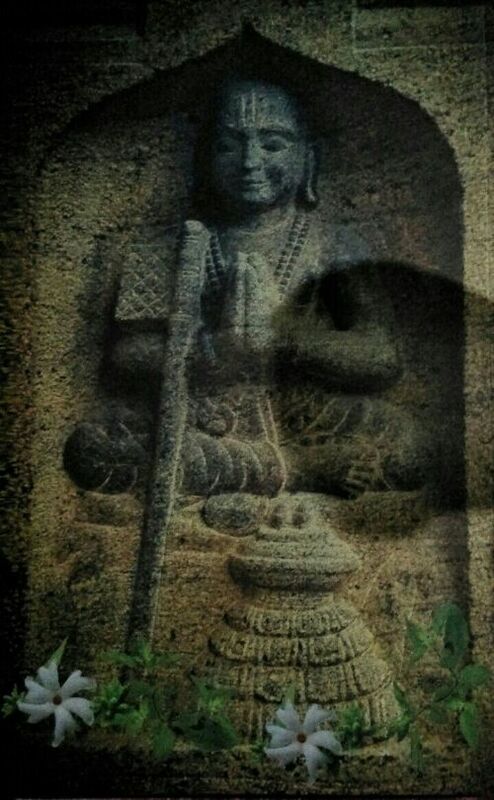 In one such poem to Kulasekara Azhwar's Prabandham, ‘Perumal Tirumozhi,’ he invites a parrot to feed on the nectar and asks the bird to tell the name of the person (Kulasekara) who rendered verses about Srirangam, adored the name of Perumal and a Head of our lineage. 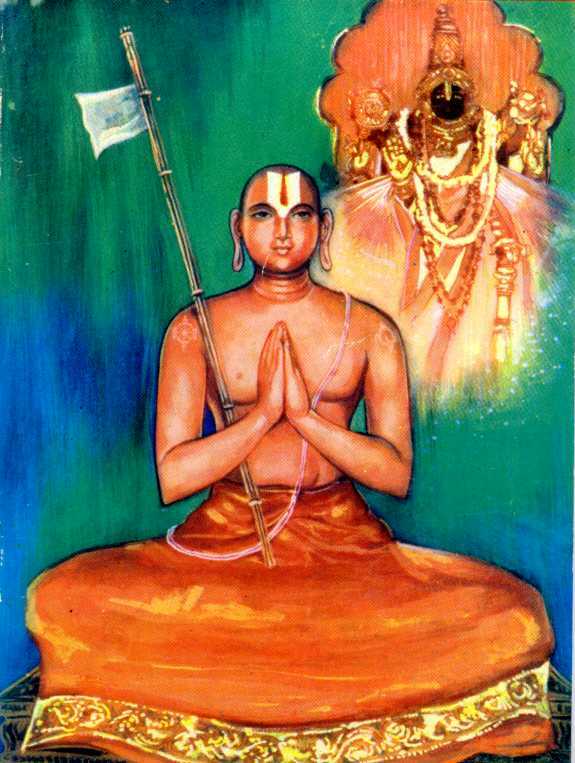 Ramanuja’s devotion and love for Tirumangai Azhwar and his Prabandham are par excellence. In his invocatory poem to Periya Tirumozhi, he enumerates the Azhwar’s traits and valour. 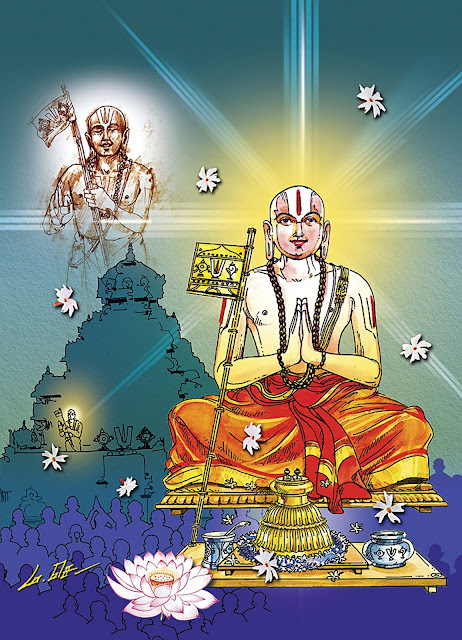 Ramanuja’s contribution to Nammazhwar’s Prabandham is significant in all aspects. 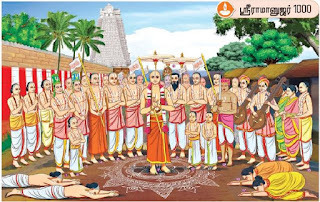 Paying a glorious tribute to Nammazhwar in his invocatory poem to Periya Tiruvandadhi, Ramanuja asks his mind to endeavour, abide, utter, salute and praise Nammazhwar. He gave thought-provoking interpretations for Nammazhwar’s hymns particularly Thiruvaimozhi in more than 50 places. In the first hymn of Tiruvaimozhi, Nammazhwar instructs his mind to worship the Lord, who bestowed on him the wisdom and bhakti and whose feet will dispel the distress of the devotees. Here all the other Acharyas before Ramanuja interpreted the phrase ‘Thuyararu Sudaradi Thozhudhu Ezhu en Maname’ as the Lord’s feet relieve the distress of the yearning votaries. But Ramanuja held that the Lord’s feet will relieve His own erstwhile distress over the said plight of His subjects (sunk deep in the dreadful cycle of birth and death), after relieving the distress of the latter. In the hymn, ‘Ariyakkalathulle Adimaikkan Anbu Seyvithu....Aviyul Kalande,’ Tirumalai Andan taught the meaning of this hymn without any change in the prose order of the hymn, i.e. as in the original text. But, interpreting this statement, Ramanuja, pointed out that it would be a blame against the Lord and would, therefore, be a misfit in this decad, where the Azhwar refers to the joy of union with the Lord and sings His glory. 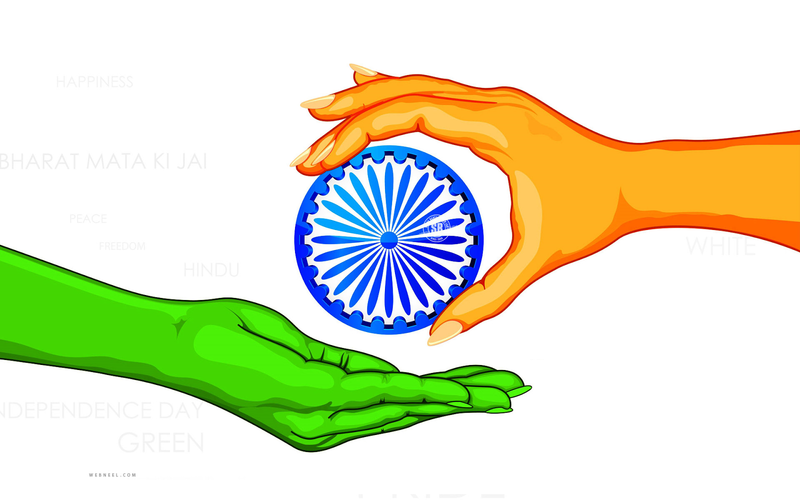 In the hymn, ‘Yavaiyum Yavarum Tanay.....Aviser Uyirinullan....’ Nammazhwar exalted the genuine nature of God. He states that God, by pervading the sentient being and non-sentient being, will not be affected by its changing fortunes, welfare, grief, etc. Even the individual soul by dwelling in a particular body will not be affected by its metamorphosis or decline in energy. Though the soul is not affected by the change in the body condition , it partakes the pain and pleasure that are experienced through the body. In such a case, it is argued that the dweller (Lord) cannot remain unaffected by such experiences of individual soul. Nampillai highlights Ramanuja's candid opinion while discussing this portion. He states that a person is imprisoned for being guilty, whereas a jail visitor visits the prison for enquiry and other related work and is not affected by his visit. The soul is like a prisoner, whose body is like a prison whereas Lord is like the visitor who is not affected by being in prison. Further, Nampillai explains that if one realises this philosophy, one can reach God. Here, some acharyas say that God may be reached by those who practise bhakti, others say considering God as a path to liberation, one can wreach Him. Having noticed the versions of all the other acharyas Ramanuja asserts that since Nammazhwar has showed Sarvatmabhava to Lord in this particular hymn, it is to be stated that God will not be affected by the changes that take place for sentient being and non-sentient beings. When the individual soul dwells in a body, that soul will not be affected for the changes of fortunes, welfare, etc., that are experienced by the body. Likewise, God will not be affected by the changes that affect the body and its soul. He declares that one who gets such a revelation can attain the Lord. In one of the hymns Nammazhwar says that selfless service to the Lord of Tirumala will cleanse one of their sins, both past and future as well. This is elaborately discussed in a philosophical way by Ramanuja who says sins are of two types - intentional (deliberate attempt) and unintentional (induced by one’s karma). These two kinds will vanish as said in Brahma Sutra (4-1-13) that by the result of meditation on Lord, there comes the non-clinging and the destruction of the later and earlier sins - this being declared. This is true as mentioned by Azhwar in this hymn. In the hymn ‘Totrakkedavai..... Seeththathodu Arul Petru Avan Adikkeezh Nindra Senganmal...’ Nammazhwar says that Prahlada displayed his boundless love for Lord Narasimha while the Lord slayed Hiranyakasipu. Here, one of the disciples of Ramanuja raised a doubt about the possibility of Prahlada approaching an irate Narasimha. Ramanuja beautifully clarified that even while the lion attacks the elephant, the cub could enjoy the warmth of its nursing mother. Such is the inner thought of Ramanuja.